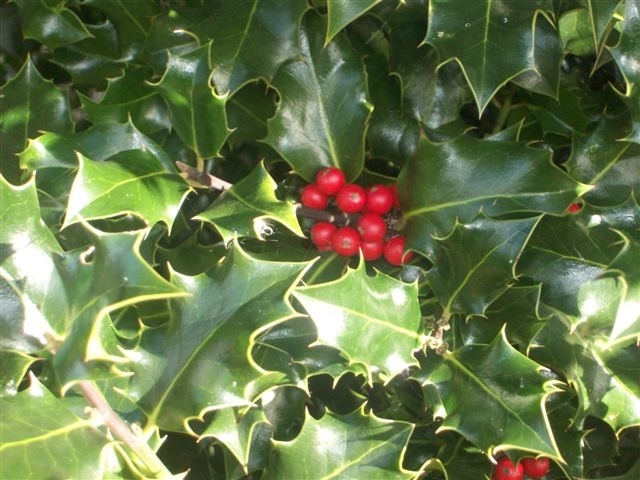 Common Holly (Ilex aquifolium), the familiar evergreen shrub, creates a dense thorny barrier and makes a great hedge. The thorny leaves of a Holly Instant Hedge are shiny dark green on top and lighter green underneath. Small insignificant white flowers in May/June are followed on female plants by bright red (poisonous) berries from September to early spring, which are attractive to wildlife. 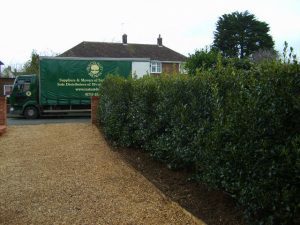 This classic evergreen hedge will thrive in most well drained soils including clay. 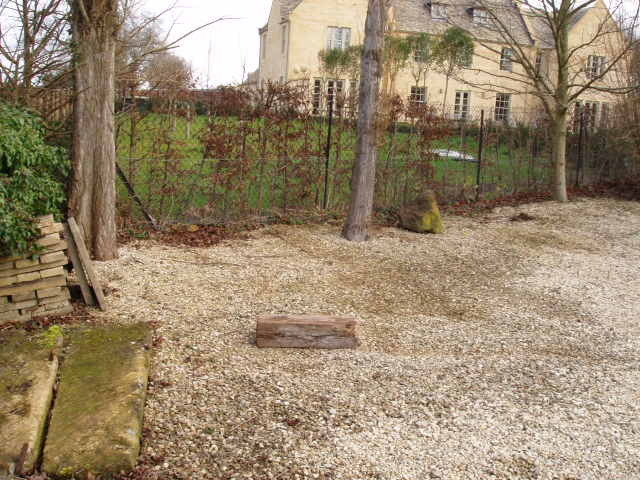 It is happy in either sun or shade but dislikes heat and drought. 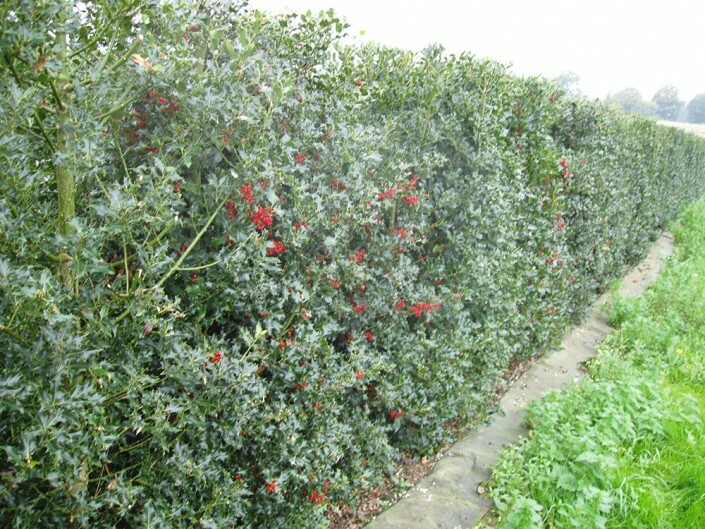 Although slow growing (5 – 15 cm/year) a Holly Instant Hedge should be trimmed once a year, preferably in August. 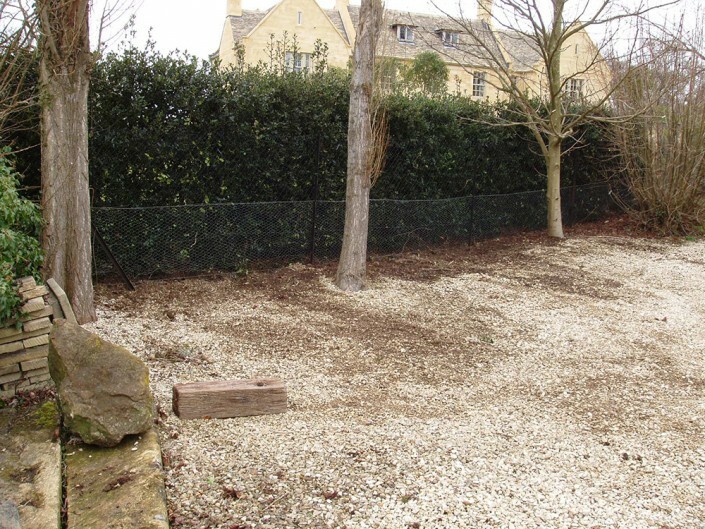 Click here to contact us if you would like a quote for this instant hedge.